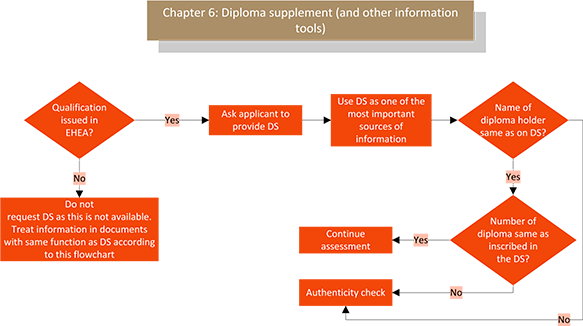 Diploma Supplement (DS) is one of the most important sources of information about a foreign qualification. In this chapter guidelines are given on how to use the DS to determine various aspects of education completed abroad. Exceptions to the use of DS, that reflect the diversity of education systems are also mentioned.